Sometimes I feel like my students only memorize isolated facts, but don't see the big picture. 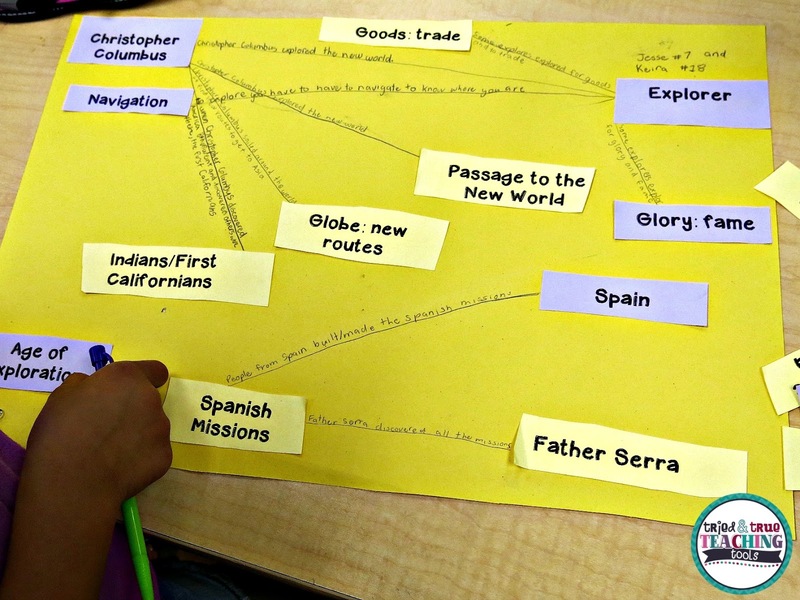 A simple and effective way to activate prior knowledge and make connections is by using a Big Idea concept map. Begin by brainstorming any and all words that may be relevant for the particular topic. These words may be people, concepts, vocabulary, etc. Give each pair of students the list to cut out. With their partner, have students try to make meaning as they begin to discuss and sort the words. I love walking around to eavesdrop on conversations; so much great discussion! There are arguments and children justifying their connections. I tell kids to either guess or make a separate pile for words they have no idea about. Next, they place words (in no particular order) onto a large sheet of construction paper. Draw a line between words that they feel are somehow connected. Write how or why they are related. I use these Big Idea maps as a pre-assessment or sometimes as a mid-unit assessment. It's a tried & true teaching tool for activating prior knowledge and facilitating reasoning. 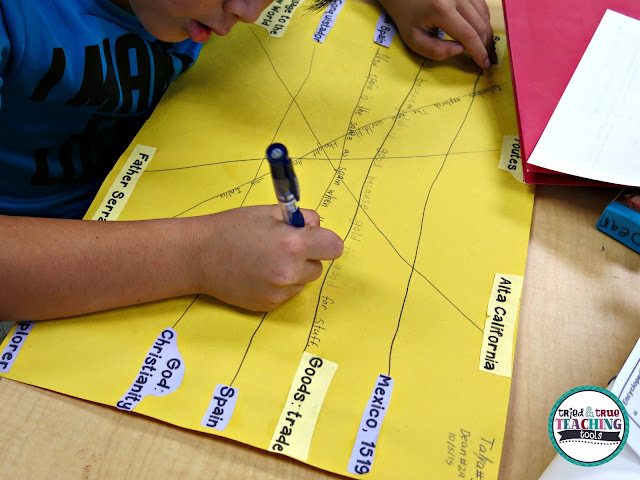 Students begin to look for patterns and connections, rather than feel they are memorizing isolated facts. Throughout the unit, students continue to reference their Big Idea maps to see if they need to revise or want to add more. This particular Big Idea concept map was our introduction to the Age of Exploration and the role explorers played in shaping California. You can download your copy of the words here. 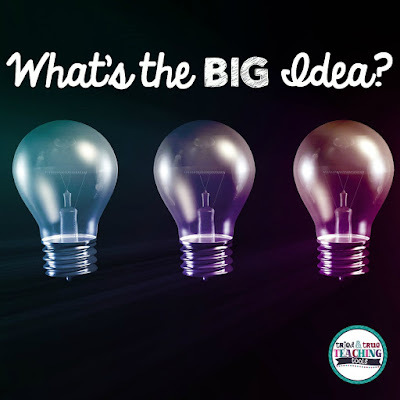 Big Idea concept maps can be used in any subject: science, math, in anticipation of teaching a novel! 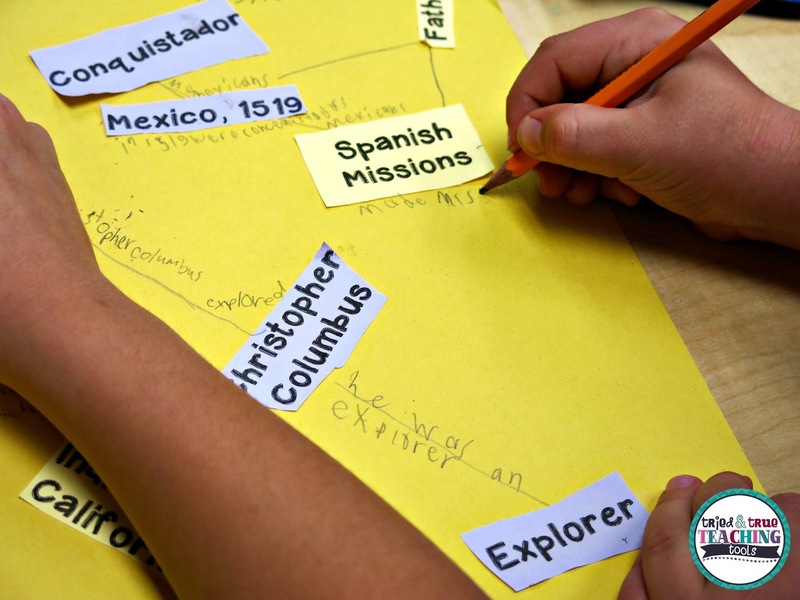 What are some ways you get your students to make connections and activate their prior knowledge? Be sure to click on the buttons below for more Teacher Talk! As with so many great ideas, the genius here is in the simplicity. This is a simple, yet powerful idea that can be applied in multiple subject areas. Love it! Thanks for sharing! Thanks, Kerry. 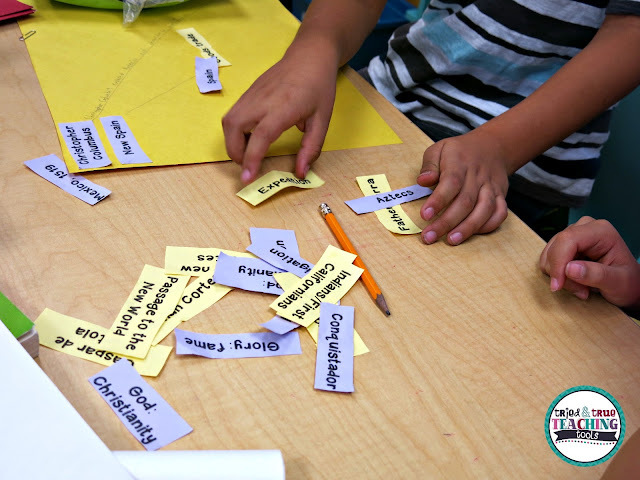 The kids love it & anticipating vocabulary prior to learning is helpful! I've done this before with science words. I love to see what students think at the beginning of a unit and then have them go back to their work later in the unit to make changes based on what they have learned! This is a perfect prior knowledge and assessment activity! I love seeing how students' thinking changes also. Thanks for stopping by, Tamaralynn! I've used Mind Mapping for years, but this simple and effective approach seems just as powerful! Love this idea! Thanks, Retta! I've wanted to explore mind mapping more! Kathie, what a great title, it made me want to read your post. 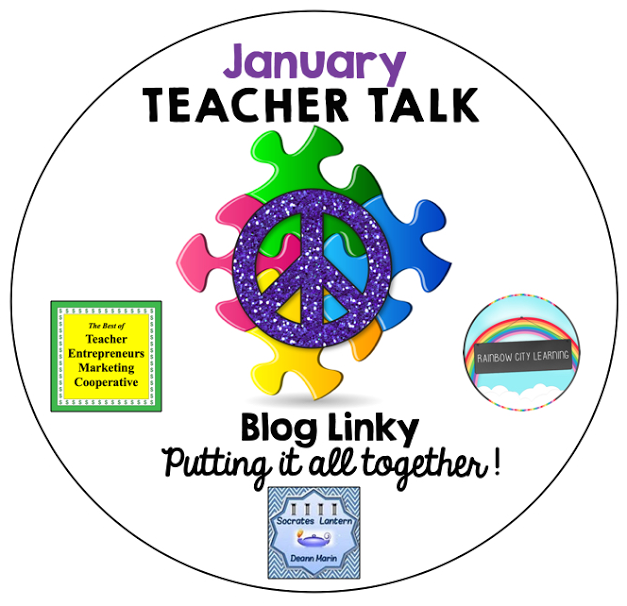 I'm glad I did,what a great approach to help your students make connections. THank you Katie for sharing tips for student to make connections! This activity looks like so much fun! Thanks for sharing! This is a terrific idea to use with middle and high school students, too. Definitely a tried and true concept. I'd love to see these Big Idea maps used with older kids!